Assisting our existing clients with service requests with their policies, Gina has been supporting our clientele for over 5 years. Gina helps clients with requests in life insurance, group health insurance, Long-term Care policies, disability income insurance, and investments, including IRA's, annuities, and College Savings plans. 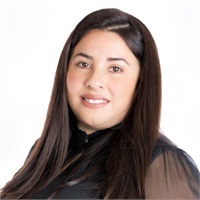 Fully bilingual in Spanish, Gina became licensed in auto, home and life insurance to help the agency serve the ever changing diverse marketplace. Located in our North Brunswick office, Gina services our surrounding communities, including New Brunswick, utilizing her experience with Latin and Spanish culture to help make sure the unique needs of qualified customers are met.